What is a myth in general? It is something people believe to be true though nobody proved it for sure. The field of gambling is not an exception here: the question "what is a myth?" does not disturb players because they follow many of myths and really believe them to be a reality. 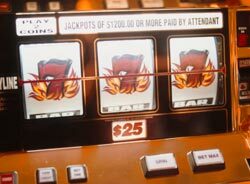 Everything that will happen inside the slot machines RNG(Random Number Generator) is either random or something close to random that humans can do nothing with it. The streaks you observe are called "fluctuations in probability" by mathematicians and for other people it could be called good or bad luck. With each spin of the reel the probability of that or this result is precisely the same that is was in the previous spin of the reels. In other words, there are 50% for your winning at slots and 50% for your losing. Slot players are not only the ones who have the misconception, even the table game players have a numerous misperceptions, myths and money losing ideas, when it is about their choice of games. The game of blackjack is judged whether its good or bad based on the regulations of a particular casino and also the amount of penetration the casino gives.Penetration is on the dealer as to how deep or shallowly he goes into the deck before he shuffles. Shallow penetration is normally considered bad sign, deep penetration is considered good sign. Card games, where card counting method can be implemented, are in fact also good for the casinos since they can deal several more hands in the game. 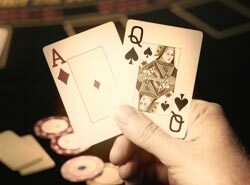 In most cases, these hands, which are dealt to the players, will not give them an edge over the casinos. This means, there are bigger chances for the casinos to make profits and lesser chances for the player to win. Probably you will prefer to play casino games with more complicated game rules, but with deep penetration.. Lots of casino executives are not aware about the fact that deep penetration will allow them to make more money. It is true, that card counters will get their one percent edge, however other players, playing at one half to two percent edges against them will make up for more than what any card counter can win. Whenever you are checking the ratings for blackjack games, you want to make sure, that the writer has written for basic strategy players or for card counters. There is one more common myth about blackjack: one should always think that 10-valued card is in the hole with the dealer. So, if dealer shows you 10, you think he has 20 and based on that make you standing or hitting decisions. In a deck of 52 cards there are sixteen 10 valued cards and 36 non 10s, there is more possibility of dealer having non 10 in the hole that a 10, particularly if his up card is a 10. Your basic tactics has nothing to do with what you think the dealer has in the hole card. This is strictly based on the dealer's up card. The moment computer finds out the best way to tackle, say, your 14 against dealers 8 up card, this goes through every possible blend of hole card and falls out against them based on standing, hitting, doubling etc., to figure out the best option to play the hand. In order to be play blackjack game, you do not have to follow some myths. Just use the blackjack strategy chart and you will be sure, that all your decisions are made up to the situation.